How do we know that plumber scams exist. Customers have told us about experiences which they have encountered with other companies. Always read the fine-print associated with any offer or coupon. There are lots of promises, but the promises do not necessarily take effect for your current job requirements. Be aware of companies who answer the phone and insist that a plumber or a representative of the company needs to come out to give a written quote. Don’t give them your credit card number under any circumstances. Ask always how much will it cost for a quote. Ask them what is their hourly rate, plus their service call charge. They should be able to answer these basic questions. Some may say they do not have an hourly rate, but they will let you know upon arrival and inspection of the total cost of the job. In such cases the quote may be far too high for your budget. They will then suggest that if you agree to progress with the job, you will not be charged for the consultation fee or quotation fee. “What quotation fee and consultation fee”, you ask? If you are not happy with the price, and you agreed to a quotation fee before-hand, it may better to try to obtain another quote. If you are paying for the quote, make sure you are paying for a written quote with the full description of work involved. For bigger jobs it is always advisable to get at least 3 prices. 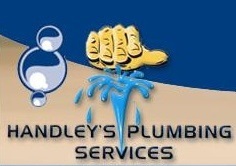 Smaller jobs which can be normally done in your home when a plumber arrives are considered under the $500 mark. A lot of companies are offering a “$0 service call out fee”. We were probably the first company in Sydney to offer a $0 service call out fee. Note the service call out fee is a fee to cover a company for travelling and other associated expenses with running a business. We do not charge that fee, but we have a minimum labour cost in your home of $88 which includes the first 30 minutes work + parts. All work after the first 30 minutes will be charged in 20 minute increments of $44 per 20 minutes. "Mention this Website and get 10% off labour cost" or $100+ GST for 2 washers"